With Photokina fast approaching rumors of new cameras from Nikon, Canon, Sony etc are running wild. In the meantime, the manufactures have announced some new products leading up to the show with several other brands expected to make announcements this week. While we can barely contain our excitement to share other news with you, for the time being we will have to restrain ourselves. While you wait with anticipation here are the latest releases from the past week or so. 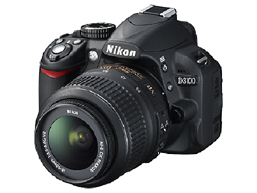 Nikon have announced the new D3100. Taking the chance to raise the bar, this new entry level will come out with a 14.2mp CMOS sensor (taking their whole range to CMOS) and it will offer – as a first for Nikon – full 1080p HD video. Add to this a 3-inch LCD Screen with Live View and the ability to take the ISO up to 12800 and this quickly become the most exciting entry level camera to date. In addition to this new body, Nikon have announced the following lenses: 85mm F/1.4 G for fantastic portraits, a new 24-120mm F/4 G ED VR – that is right a fixed F/4 aperture throughout the zoom range. There is a new 55-300mm F/4.5-5.6 G ED VR which is sure to be a hit here in South Africa and for those full frame travel shooters, a new 28-300mm F/3.5-5.6 G ED VR rounds things off. In terms of new compact cameras, Nikon have released the Coolpix S5100 (12.2mp CCD, 5x Optical Zoom and HD video) as well as the Coolpix S1100pj which in addition to having 14mp and a zoom going from 28-140mm also features a projector for showing of your images on something a bit bigger than the back screen. Introducing the PowerShot S95, the successor of their ‘popular with enthusiasts and pros’ S90. The S95 still utilises a CCD sensor with 10 megapixels, offers full manual control and RAW files. The greatest improvement then seems to be in the offering of 720p HD video. Also announced was the PowerShot SD4500 / IXUS 1000HS which claims to be the slimmest super zoom (as Jerry Clarkson would say “In [pause for effect] the world”). The camera has a 10x optical zoom with a 10mp back-illuminated CMOS sensor and full HD video with a Super Slow Motion mode. Adding to the range of super zooms is the PowerShot SX130 IS with 12mp, 12x optical zoom starting at 28mm and HD video. Three new cameras coming from Olympus which are the mju-7050 with a 14mp CCS and 7x optical zoom, HD video, 3-inch LCD. The FE-5050 with 14mp CCD, 5x optical zoom and a lower resolution FE-4050 version which sports only 12mp and a 4x optical zoom. The FinePix Real 3D W3 is Fujifilm’s second 3D camera and unlike the Sony cameras out there, the Fuji offerings use two lenses set at each end of the camera as traditional 3D cameras do. What is exciting about the new W3 is that is shoots movies in HD.